“IT’S always a lot of fun when you win,” President Donald Trump enthused after his tax package was approved by Congress in December. Company bosses nodded along. The centrepiece of the reform is a drastic cut to the corporate-tax rate, from 35% to 21%, taking it below the rich-country average. Although its impact is partly offset by some revenue-raising measures, the congressional Joint Committee on Taxation estimates that American business will gain around $330bn from the reform over the next ten years. Yet within that are sizeable variations in terms of which firms and industries benefit most. The biggest winners are more domestically oriented companies. These typically face higher effective tax rates than American companies with a big presence overseas, which do business in lower-tax countries. Bosses are also evaluating other new measures. So-called “full expensing”, for example, helps those with big spending plans by allowing them to deduct investment costs up front. But using debt will become less attractive, as interest payments are no longer fully deductible. Some firms experienced high volatility in their earnings for the final quarter of 2017 thanks to the treatment of so-called “deferred tax assets”. These are past tax losses carried forward to set against future tax bills, and such assets have shrunk in value because of the lower corporate-tax rate. Other firms that hold deferred liabilities enjoyed big one-off gains. Of the 150 S&P-listed companies that have so far released estimates of their effective tax rate for 2018, telecoms and consumer-focused companies (which often have a big American presence) expect to have gained the most, says Ramaswamy Variankaval of J.P. Morgan, an investment bank (see chart). AT&T, a telecoms giant, predicts a rise in cashflow of $3bn in 2018, or nearly a fifth of cashflow last year. Multinational firms do benefit from a lower American headline tax rate. They will also pay a much lower tax rate, of 15.5%, on foreign cash that is repatriated. Yet while they were previously taxed only when the money was brought home, now they must cough up and pay tax on all of their $3trn stockpile of foreign cash over an eight-year period. Other changes to the treatment of foreign income are more controversial. The new “base-erosion anti-abuse tax”, or BEAT, applies to all big firms operating in America and targets cross-border payments to foreign affiliates, such as royalties on intellectual property. 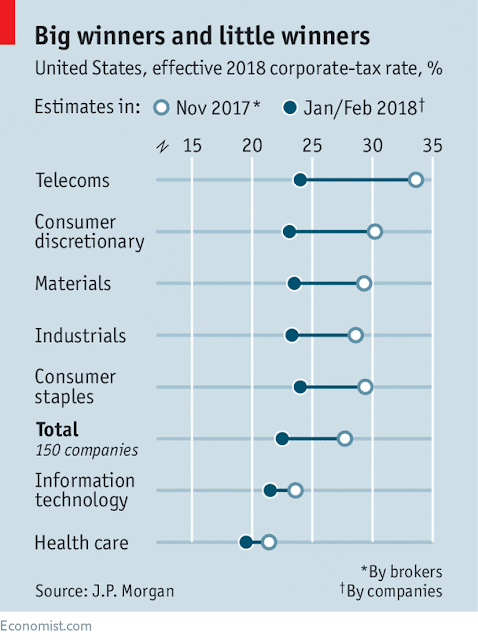 Firms must now add such services back into their American corporate earnings, and pay a 10% tax (after 2018, until when a 5% rate applies) on this broader base—if it exceeds the standard calculation of 21% on a narrower base. Another new tax charge applies only to American firms that have “global intangible low-taxed income” or GILTI—returns on intangible assets, such as patents or software, parked abroad. Both BEAT and GILTI were intended to prevent companies from dodging tax by stashing intellectual property and other intangibles in tax havens, notes Jennifer Blouin, from the University of Pennsylvania. But, as drawn up, they are much broader, she says, and could capture all foreign affiliates, even if they already pay high tax rates, such as those in Germany. That has irked some European firms. With bureaucrats still transcribing the hastily drafted legislation into rules for business, firms cannot yet be sure of their total impact. But many technology and pharmaceutical companies, even though together they hold the most cash abroad, anticipate slightly lower tax rates as a result of the reforms, says Mr Variankaval. 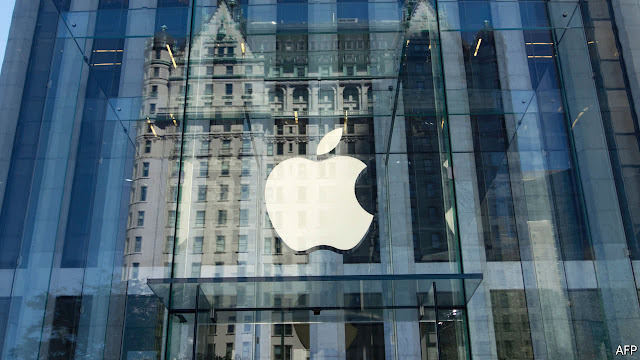 Even Apple, which booked a $38bn tax payment on its $250bn mountain of foreign cash (it has yet actually to pay it), expects a net benefit. In contrast, some other firms, such as IBM and General Electric, expect slightly higher tax rates in 2018 than they paid last year, as the wider tax base offsets the lower headline rate. Unsurprisingly, the reforms appear to negate the benefits of “inversion”, or setting up abroad for tax purposes. Valeant and Allergan, both drugmakers domiciled abroad, expect higher tax rates. It is too early to tell, though, if the tax changes will succeed in shifting supply chains and intangible assets back to America. It is also too early to gauge how the winners will spend their gains. According to Americans for Tax Reform, a lobbying group, 377 companies have announced pay awards linked to the tax reform, including AT&T and American Airlines. Most are bonuses that amount to a small part of the total gains, leading sceptics to attribute the announcements to clever public relations. A few firms have gone further, announcing permanent wage increases or new investment projects. But these were probably in the pipeline anyway, given improving demand, says Matt Gardner, from the Institute on Taxation and Economic Policy, a think-tank. That said, most analysts do expect the lower corporate-tax rate to make investing in America more attractive in the longer term. But if the past is any guide, argues Ms Blouin, repatriated earnings will mostly be returned to shareholders. Last week Cisco, a tech company, said that was precisely what it would do with most of the $67bn it was bringing home. Like Mr Trump, investors, too, are in for some fun. Ever since German unification in 1871, Germany’s fate has defined Europe’s future. Germany’s economic energy enabled it to dwarf France and rival the British Empire by the eve of 1914. That introduction would seem excessive for a discussion of the banal political maneuvering that is going on in Germany today. The Christian Democratic Union, which has dominated Germany for more than a decade, must form a coalition with the Social Democratic Party, or SPD. Negotiations have gone on for months, and in the end, the CDU is set to give up several key ministries to the SPD. The SPD rank and file will vote March 4 on whether to ratify the agreement. All this happened because of the emergence of a new nationalist party, Alternative for Germany, or AfD, whose recent electoral success came at the expense of the CDU and the SPD. Germany’s political configuration has changed, and it has not jelled into a coherent government. The European Union has been the great experiment of our time. The Maastricht Treaty sought to reconcile the persistence of European nationalism with a transnational Europe. The EU promised to bring two things to Europe: peace and prosperity. Germany was central to both. The EU sought to integrate Germany into a single structure with the rest of Europe, ending the conflicts that had raged periodically after German unification. Prosperity would emerge at least in part from the dynamism of the German economy – a dynamism that always showed itself in peacetime. Germany was again the center of gravity of the European project, now again in its industrious, economic mode. Germany had a consistent and clear vision of what it wanted to be and what it wanted Europe to be. Economically, Germany had to have a free trade zone. As had been the case between 1871 and 1914, Germany’s economic production outstripped its domestic consumption, so it needed to rely on others to buy its goods. Politically, it wanted a diminution of the national component of Europe and a maximization of the international component. And finally, it wanted governments that would adhere to the internationalist and liberal principles that Maastricht envisioned. 2008 began changing Europe. The unequal impact of the financial crisis created deep splits in Europe because there was no single policy that could help every member state. But a deeper issue became obvious: Each nation elected its own presidents, prime ministers and chancellors. These leaders did not draw their power from the EU but from their own countrymen. They held onto their positions only if they satisfied national demands. Whether to adhere to the dictates of EU secretariats on non-economic matters, particularly immigration, was in the hands of the voters of each nation and therefore out of the hands of the EU. Now, the reality that led the United Kingdom to leave the EU, Italy to ignore EU rules on banking bailouts, and Poland and Hungary to follow their own versions of political life has come to Germany, and Germany, perhaps more than other countries, seems hard-pressed to cope with this reality. This is not primarily a matter of party politics; it is a matter of a changing social reality. The consensus that has governed Germany since 1991 is fraying. The AfD has brought nationalism to Germany, and for Germany, this has meanings and memories that make it different from other countries. In the meantime, the two major parties – the CDU and the SPD – are drifting apart in their understanding of the direction of Germany, while inside the CDU, Chancellor Angela Merkel must make concessions to segments of her own party that would have been unthinkable just a few years ago. The Germans have fallen prey to the European reality – that it is the voters in each country who hold the power, and all the meetings in Brussels can’t overcome that fact. Germany’s voters have just spoken. The outcome of the election was ambiguous except for one thing: It made clear that Germany is in transition, even if its future direction is not yet defined. The established parties are struggling to form a government, and in the background is the troubling memory from Weimar, when establishment parties played politics as usual while Germany simmered. The tendency, in all countries, is to dismiss movements that the establishment doesn’t understand as marginal. At first, the outcome of the election in Germany could be placed in a comfortable context. Sure, AfD had gained ground, but mainstream parties still held the two top spots. But the spectacle of the establishment CDU and SPD unable to efficiently form a new government raises questions less about AfD and more about the ability of the establishment parties to act decisively in a new reality. If the European project is going to be revived, then Germany must be the engine of its revival. And for that, Europe can’t be politically gridlocked. In Europe, nations are governed by the people, and it is the people, not the governments, who decide the directions they will take. And now, the European heartland, Germany, is experiencing the first tremors of what it feared most. In years past, if investors wanted to buy junk bonds, they bought U.S. high-yield corporate bonds: there was pretty much no alternative. The high-yield world is now full of companies from fast-growing parts of the world, yet many investors are missing out. Take the ICE BofAML Global High Yield index. At the start of 1998, it contained bonds from companies in just 15 geographies, with the U.S. accounting for 87% of the index, notes fund manager Hermes Investment Management. Now, the index is home to hard-currency debt issued by companies from 81 countries, and only 52% comes from the U.S. Debt from Russia, Brazil, China and Turkey accounts for 13% of the index. 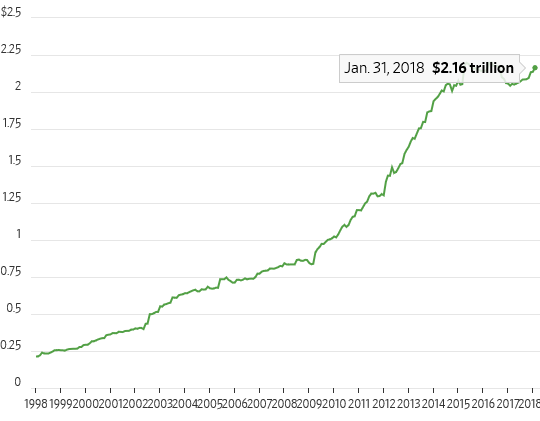 Along the way, the index has grown 10-fold to more than $2.1 trillion. Investors should benefit from shift. They get diversification and faster economic growth, which typically benefits high-yield bonds. Since global growth picked up, emerging market bonds have beaten U.S. and European peers. And on average they have slightly higher credit ratings than the U.S. high-yield index. The International Monetary Fund forecasts growth of 4.9% this year and 5% next for emerging market economies, far above the 2.3% and 2.2% forecasts for the advanced economies. The problem is many investors are missing out. Popular junk-bond exchange-traded funds, like the SPDR Bloomberg Barclays High Yield Bond ETF and the iShares iBoxx High Yield Corporate Bond are still heavily concentrated on the U.S. market. With yields extremely low on high-yield bonds, investors are taking lots of risk in the sector. A bit of global diversification might be a good idea right now. 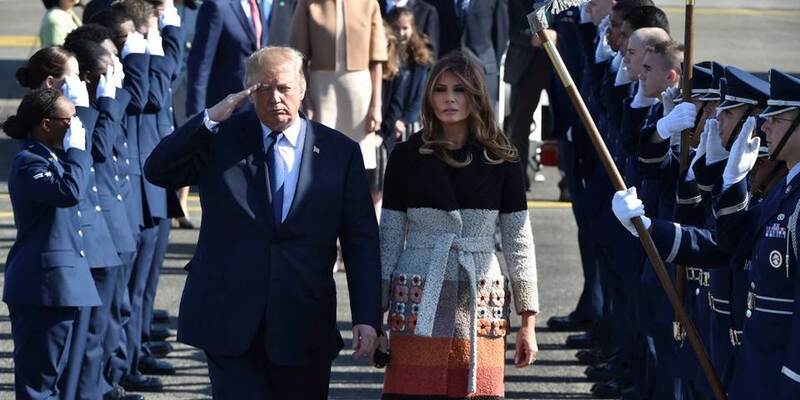 NEW YORK – When Donald Trump took office early last year, many pundits believed that he would settle into his presidency and pivot to normality. But a large number of America’s mental health experts didn’t see it that way. They warned that Trump evidently suffers from a mental impairment that would worsen under pressure, possibly leading him to launch a war, even a nuclear war. And now, with the dangers of a Trump-led war with North Korea or Iran rising, the world needs to head off America’s president before it’s too late. In the view of many professional psychologists and psychiatrists, Trump is not merely a bully, a showman, and a liar; he is more likely a mentally impaired individual who is impulsive, aggressive, and relentlessly driven to manipulate and blame others. These professionals have called for an urgent, independent evaluation of Trump’s mental capacity that goes far beyond the simple cognitive screen that he received earlier this year when undergoing a physical examination at Walter Reed Army Medical Center. To some laypersons, and obviously to many Americans, symptoms of mental impairment can appear to be strengths. A lack of self-control can be mistaken for candor. Aggression and manipulativeness can be mistaken for deal-making skills. Yet to mental health professionals, these traits are danger signs. Individuals who display such behavior are often masking intolerable feelings of powerlessness, inadequacy, and an overwhelming need for approval that can curdle into violent destructiveness under pressure. This would not be the first time, of course, that a leader with a severe personality disorder has gained power. But such leaders have usually gained control in smaller countries that lack the world’s most powerful military. Still, the record of such episodes is grim: Idi Amin, Saddam Hussein, Pol Pot, and many others were able to wreak murderous mayhem. Unlike those leaders, Trump can plunge the world into a devastating nuclear war at his personal command. In recent months, he has repeatedly threatened to use this power. Trump believes that by threats, sanction, and bravado, he can force North Korea to relinquish its nuclear weapons. In fact, if Trump pushes the North Korean regime into a corner, he is more likely to provoke a war. The South Koreans understand this, but they are being pressured by the US to take a hard line. The recent Olympics thaw in relations between North and South Korea is promising, but not the end of the story. Trump will most likely stir up tensions soon again; he can’t help himself. Iran is the second flash point. Trump is surrounded by hardliners in his administration who are seeking a showdown with the Islamic Republic. Israel’s government, led by Prime Minister Binyamin Netanyahu, is pushing the US in the same direction. Again, Trump or his advisers may believe that bravado will cause the Iranians to back down from their regional assertiveness in Syria and Lebanon; but this is unlikely, in part because Iran can count on Russia’s tacit backing. Trump’s obsession with winning and inability to accept a balance of power constitute a dire threat. His declaration on Twitter in January that he is “a very stable genius” is a sign of weakness, not strength. Such statements are an alarm, not a reassurance. As Special Counsel Robert Mueller’s investigation continues to raise the emotional and political pressure on Trump, the president’s temptation to resort to war could rise dramatically. The danger is that Trump’s emotional compulsions could become all-consuming, rendering him incapable of choosing any other course than violence. Trump’s impairments usually involve great efforts by him and others to keep his inner wounds covered. People around him often display excessive fawning or comply with exceptional demands in order to “contain” him. Such is the reported atmosphere at the White House, where his aides apparently work hard to keep America safe from their boss. Given the warning signs, the US Congress should move urgently to remove Trump’s unilateral ability to launch a war, especially a nuclear war. The Constitution is clear: According to Article I, Section 8, Congress, not the president, has the power to declare war. Presidents have relentlessly usurped that power in recent decades, and Congress, unfortunately, has acquiesced. But, with Trump in power, it is especially urgent – a matter of survival – that Congress clearly and explicitly reasserts its constitutional authority. America’s traditional allies should also be on guard against blindly following the US to war. We are in a period of great danger. We do not need a new war on the Korean Peninsula or in the Middle East to establish a balance of power, stability, and mutual recognition of all sides’ security interests. We need diplomacy. But Trump may be psychologically incapable of that, because he predisposed to attack, rather than compromise. Global forces for peace need to resist. Bandy X. Lee is a clinical professor in Law and Psychiatry at Yale School of Medicine. Jeffrey D. Sachs, Professor of Sustainable Development and Professor of Health Policy and Management at Columbia University, is Director of Columbia’s Center for Sustainable Development and of the UN Sustainable Development Solutions Network. His books include The End of Poverty, Common Wealth, The Age of Sustainable Development, and, most recently, Building the New American Economy.